ies of Clive’s force were 57 killed and 137 wounded. The Nawab’s army lost 22 officers of distinction, 600 common men, 4 elephants, 500 horses, some camels and a great number of bullocks. The attack scared the Nawab into concluding the Treaty of Alinagar with the Company on 5 February, agreeing to restore the Company’s factories, allow the fortification of Calcutta and restoring former privileges. The Nawab withdrew his army back to his capital, Murshidabad. Concerned by the approach of de Bussy to Bengal and the Seven Years’ War in Europe, the Company turned its attention to the French threat in Bengal. Clive planned to capture the French town of Chandernagar, 20 miles (32 km) north of Calcutta. Clive needed to know whose side the Nawab would intervene on if he attacked Chandernagar. The Nawab sent evasive replies and Clive construed this to be assent to the attack. Clive commenced hostilities on the town and fort of Chandernagar on 14 March. The French had set up defences on the roads leading to the fort and had sunk several ships in the river channel to prevent passage of the men of war. The garrison consisted of 600 Europeans and 300 sepoys. 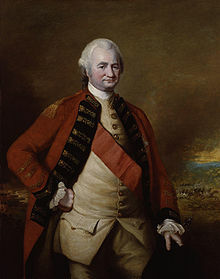 The French expected assistance from the Nawab’s forces from Hooghly, but the governor of Hooghly, Nandkumar had been bribed to remain inactive and prevent the Nawab’s reinforcement of Chandernagar. The fort was well-defended, but when Admiral Watson’s squadron forced the blockade in the channel on 23 March, a fierce cannonade ensued with aid from two batteries on the shore. The naval squadron suffered greatly due to musket-fire from the fort. At 9:00 on 24 March, a flag of truce was shown by the French and by 15:00, the capitulation concluded. After plundering Chandernagar, Clive decided to ignore his orders to return to Madras and remain in Bengal. He moved his army to the north of the town of Hooghly.